That Darned Sweater. Kathleen C Cooper. December 2015. 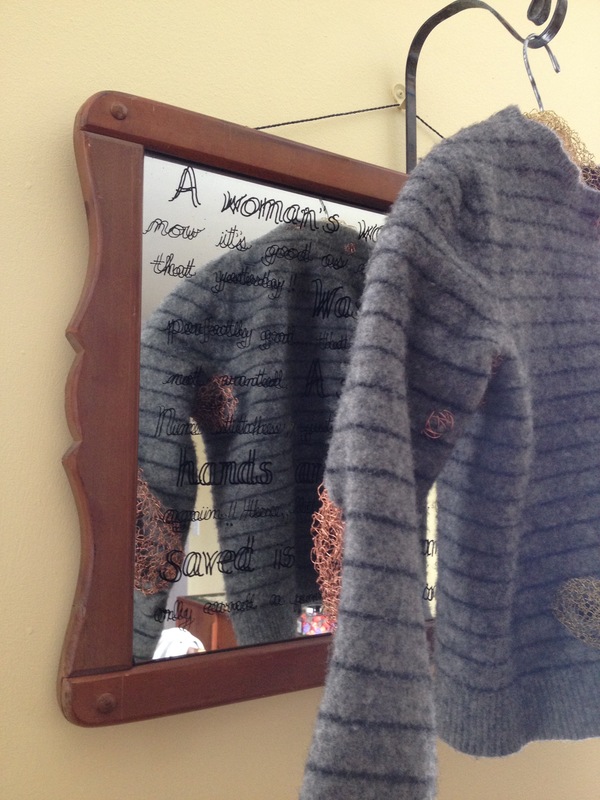 Kevin’s experientially distressed wool sweater, felted and repaired with mixed metal darning and knitted wire patchwork. Hand-made steel hanging structure. Found & repurposed mirror and salvaged hanging wire, knitted brass wire hanger cover. Approximately 30” vertical by 28” horizontal, 8” deep. This entry was posted in welding and tagged knitting, sculpture, steel by kcc. Bookmark the permalink. love it. what does the mirror say?